Owen Laser is a sophomore News Editor. He joined TSP because he has an enjoyment for challenge, a nose for news and knack for finding the truth in anything. Owen is currently involved in activities such as music and theater. Owen is a musician who has been playing music since he was eight years old. He specializes in piano and guitar, but has knowledge of singing, harmonica, recorder, kazoo, glockenspiel, and violin. 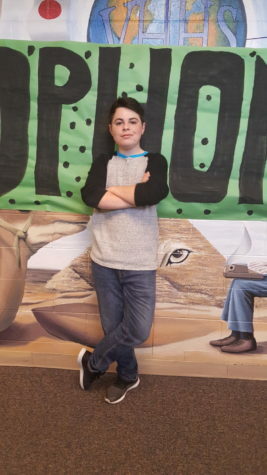 Owen hopes to become a paleontologist or musician and wants to go to either Julliard, DePaul, the University of Chicago or Ann Arbor Michigan.